If you’re a fellow flower lover I’m sure you’ll also have many fond memories involving blooms. From exploring beautiful gardens, gifts to/from family and friends or decorating your home with fresh flowers from your local market. Needless to say flowers have always been a huge source of inspiration for me, both personally and when it comes to my photography style. I have been a longtime fan of Emily’s distinctive style and flair with blooms and was thrilled to enter the floral dream that is the Boutierre Girls studio. 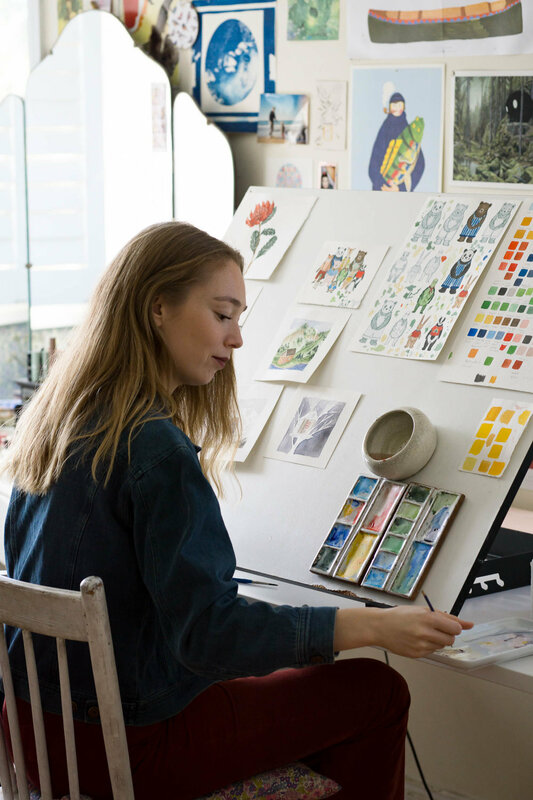 Discover Emily’s flower filled studio, creative process and other wonderful insights below. Tell us a bit about yourself and what led you to be surrounded by dreamy flowers. 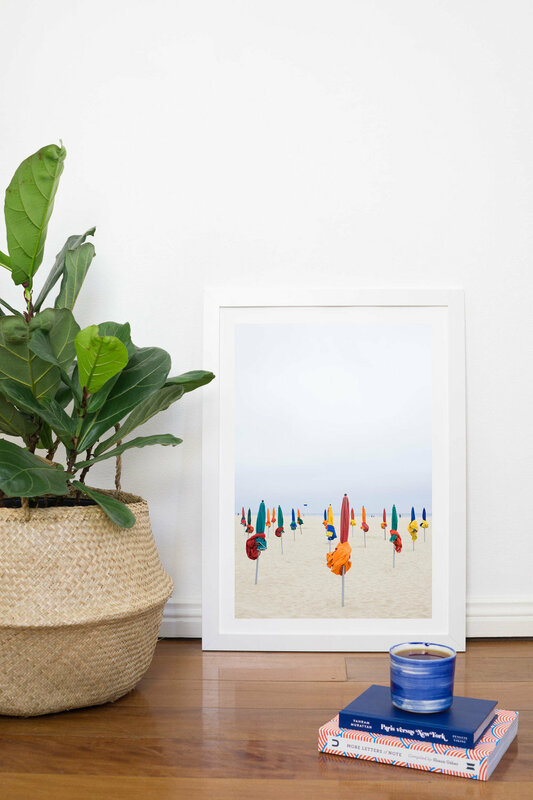 I'm 27, and my floral studio is based in the northern suburbs of Sydney. I have always had a love for gardens and flowers and my mum has always had really beautiful gardens. I started Boutierre Girls as an 'on the side' hobby whilst I was studying at university. I then started getting into flowers because I loved decorating my cakes with fresh flowers. Eventually I decided that I didn't actually like baking. It was the flowers that I enjoyed. My business took off almost instantly and I have been very lucky. I'm mostly self taught and have learnt everything I know on the job. I love to try and bring the garden indoors. I use a lot of roses and orchids and different colour combinations because I love to keep my arrangements looking exciting and different. I draw a lot of inspiration from the current season and always like to tie my flowers in with the current seasonal palette. I also love fashion and am constantly researching and watching shows to try and keep my flower pieces up to date with what's going on around me. I work with a lot of labels and always try to tie in my work with the colours and lines of each season. Your unique floral designs are so fresh and dynamic. What do you consider when sourcing flowers? Buying local or imported flowers. I love buying local, however a lot of the time the flowers I use are imported due to them having a better vase life, or a client requesting flowers that are not available in Australia. I get back from the markets between 6:00am - 7:00am. I then spend a good hour unpacking the van as fast as possible to get all of the flowers in water. The flowers then all need to be prepped, stripped and cut before being placed in buckets and vases on the shelves. I then go through all of my orders, start making them and sending them out. If we have a wedding or an event, I generally start prepping the day before and get as much done as possible off site. Generally by 2:00pm I become a bit of a zombie (the 3:30am starts are a killer sometimes). I will often go home and sleep for a few hours and then start back up in the late afternoon/evening. Is there a common misconception about what you do? Yes! I think most people think that my job is quite glamorous and that I stand around all day making beautiful arrangements and taking lots of photos. That is my favourite part of the job, however it's such a tiny part of the job. The prepping, cleaning and admin work is what takes up the majority of my time. It's a very stressful and often sleepless job with very tight deadlines and quick turnarounds. The weather also plays such a huge part in my job and can really limit the flowers that I can use. I just purchased my second van yesterday (fourth year into my business), which was a very proud moment for me. I have also been very fortunate to work with international and local fashion labels that I really admire such as Dior, Tommy Hilfiger, Vogue and Harpers Bazaar to name afew. I love working with high end fashion labels and Australian brands such as Bec & Bridge and Samantha Wills. I'm always excited to work with new clients and can't wait to see what jobs come my way this year. Yes! I was thrown into the deep end straight away. I have been so lucky to receive a lot of advice from friends I have made in the industry that have taken me under their wing. I think learning to charge what you are worth has always been very difficult for me. That and finding a great bookkeeper and accountant. Do you have any tips for keeping flowers fresh and happy? Always trim the stems of your flowers before placing them in a vase/water. Keep the water fresh and clean by changing it every day and place your flowers in a cool place, which is out of direct sunlight. Different flowers die at different times. If you pull out flowers as they die, it will allow the remaining flowers to live longer (dead flowers will go mouldy and kill everything around them).